We are committed to giving great care to our service users and patients. Our people do exceptional things, this is your opportunity to nominate and vote for those who really make a difference. You can nominate either a whole team, an individual person in the colleague category or an outstanding manager. You can then vote for the winner by clicking on the images below the nomination form. 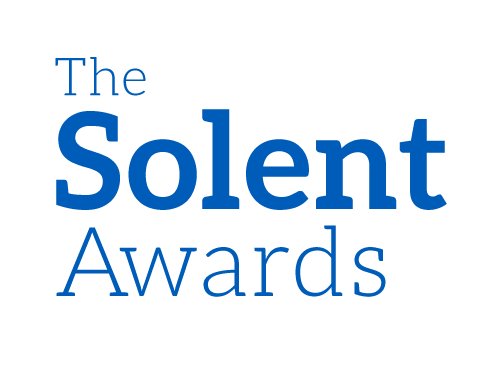 Please explain clearly how this nomination links to the Solent values. Thank you for your nomination. You have the opportunity to vote for a winner from each of the categories below. Each month, the nominee with the most votes in each category will be the winner. Tsi-Tsi is one of the most supportive Sisters I have had the pleasure to work with. She is always available for staff, patients and family members and works with a smile on her face. She is an example to all those working with her! She treats all with respect and dignity and goes above and beyond in everything she does. She strives for great service delivery and is a keen team worker. She takes everyone's opinion and feelings into account to support a patient or the multidisciplinary team. She is highly caring and will take initiative and responsibility in order to provide the best care. Emma has been absolutely fantastic working with my son. From the outset Emma has gone above & beyond with her understanding and providing knowledge & skills to help my son, she has adapted and dealt with the challenges that arose along the journey. Clear goals and planning. Her professional yet friendly manner is just perfect. To say thank you just doesn't feel enough for the huge positive impact Emma has had on my son's life. I would love Emma to be recognised for her dedication, and it be acknowledged what a huge asset Emma is to Solent's CAMHS team. Thank you Emma. Nomination 2: Emma has a bright and flexible outlook in her work and has been very approachable. She offered a focused intervention to service users and families love working with her. She helped me understand CBT and how I could adapt my practice to use some focused skills in my work. Anni goes above and beyond for her job and the people in her team. She has been a very supportive towards us as a team especially through major staff shortages and staff sickness. She is a truly exceptional nurse, caring, compassionate and going above and beyond. Tina has been a huge help to me over the past year as a fabulous therapy assistant who is always cheery and friendly to the patients, but most recently has been a huge help running the Ankylosing Spondylitis 8 week Group that runs as QA. Without her helping me set up the group, all the equipment and paperwork that comes with it I simply wouldn't have time for lunch or even a cup of tea in my day. Not only is she kind to me and makes sure I can lead the group whilst she runs everything behind the scenes, but the patients love her as she is friendly and knowledgeable. Shes great and I'd like her to be recognized with a Solent Award. Such a lovely person inside and out, nothing is ever too much. Always helping others selflessly.- Nomination received from a patient/service user. Nomination 2: Trudie works so hard, puts others before herself every time. She delivers outstanding customer service and is so very dedicated to her job. She is a very caring individual. Abbie is single-handedly the face of the busy Child and Family reception however nothing is ever too much trouble and she is always so friendly, polite, happy and professional! She is always more than willing to help with anything that she can, often juggling numerous tasks at the same time. Abbie displays all of the HEART values at work, but particularly 'respect' and 'teamwork'. Her communication skills are fantastic and she always shows compassion and understanding towards all staff and visitors. She shows great leadership and initiative in her role and is a hugely valued member of the wider Child and Family team. We'd be lost without her! Angie is one of the NHS's unsung hero's who's role is critical in ensuring that the patients receive the best possible care. If I had to sum Angie up in a single word I would have to say that she is a 'gem', always friendly, cheerful and happy to help. Every day she makes that extra little effort to ensure that patients and staff work in a clean and friendly hospital. Nomination 2: She is always cheerful and often goes above and beyond. She works in part of a team and is always willing to help her colleagues out. Jane salter, is an amazing member of our team, she always put every ones needs first, before her own,she very rarely ever gets as break. Always there for help and support,and is truly a credit. Jane salter deserves this nomination for all her hard, dedicated work, one of the best, one of a kind,truly loved by all. As a Service User I would like to nominate my Dentist June Brodison because she is absolutely outstanding! Due to my Autism I find the communication of people incredibly lacking & in my experience NHS staff simply do things to you quickly & expect you to know what they’re doing & be comfortable with it. I find this confusing & distressing. As a result of this I have not attended a dentist since I was a teenager, I have also not accessed other NHS Services in order to avoid these stressful experiences. When I first met June Brodison I was immediately struck by her ability to communicate. This was not the norm for me. She is completely different to any other NHS professional I have ever met. She takes the time to explain what she’s going to do & ensures I understand before she continues. She shows me what things look like & how they feel etc this instantly takes away my anxiety because I know I’m safe because I understand. Most importantly she remembers EVERYTHING! I do not do well with loud noises so she adjusts to ensure nothing is going to hurt my ears! I don’t ever understand all the paperwork that I have to fill in before my appointment & the payments etc. I do not have financial capacity & I have had Safeguarding Intervention in the past due to financial exploitation so I am incredibly anxious regarding my money... June always takes the time to explain it to me so everything is correct. Just this one person adjusting the way she communicates has made me not only not frightened of going to the Dentist but she has also made my confidence grow in my willingness to try & communicate with Professionals. Usually my Autism Worker or my partner does all the talking because it’s faster but now I feel more independent & confident because June listens, understands & communicates so amazingly! I think it would be fantastic if all NHS Staff were trained in the same way in which June is because it would actively promote independence in people like me who feel isolated from accessing services & I’m sure it would make them feel good too knowing that they can reach into their worlds too instead of speaking to somebody else like the person isn’t there. I have never said thank you to June because maybe she just sees herself as a Dentist worker but by being so caring & amazing with her communication she gives people like me a voice & the feel that I can stand up right tall because professional people can understand me! 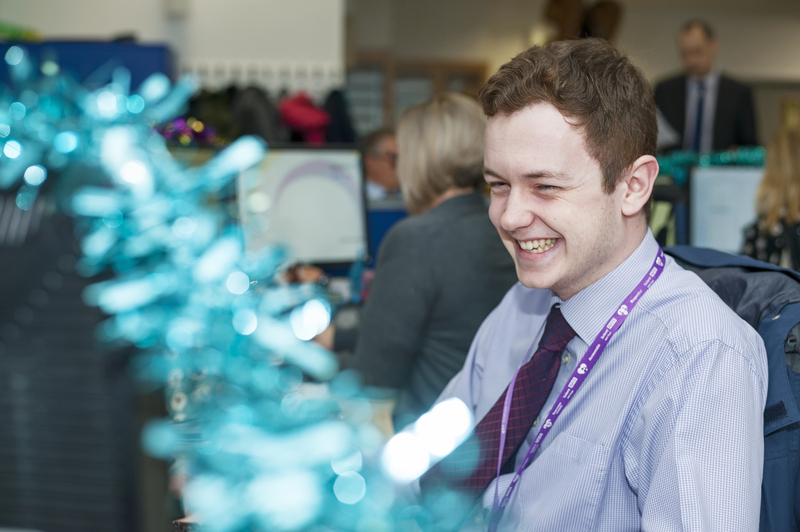 Jordan has recently started with the Trust and has hit the ground running. We had a situation where a special needs child had the opportunity to stay overnight at school, which is something the child wanted to do. His carer at the time became ill and Jordan stepped in above and beyond her own duties and volunteered to undertake a night shift to care for this child, so that he could enjoy his stay. Jordan is an exceptional member of staff and has gone above and beyond for the children that are within the complex care team since she has started with little support. Ruth came into this post and has been a fantastic role model and mentor, she is practical, hard working and patient. She is very knowledgeable and has taken time to get to know each of the services she manages. She has been instrumental in helping to turn around the phlebotomy team and works tirelessly to ensure high standards are met in everything she does. She is a brilliant manager and very worthy of this award! Deepa always strives to provide the best service for patients and a great and fair working environment to her colleagues. She is hard working, caring and knowledgeable. She is a great manager and an inspiration. Nomination 2: Deepa is a Manager you can rely on for support, She is warm and open, always willing to listen and offer advice if needed. she is flexible and just. She makes everyone feel valued for their role in supporting patients and in the team and always listens to ideas and opinions. She is passionate in her role and will divide her time as much as possible to full-fill her responsibilities as a manager and then still find time to be hands on with patients. She is amazing with her patients, being able to provide the best support according to their individual needs. She is a strong leader that will speak out for patients and staff. Deepa will follow policies and procedures and will keep the team updated on any changes to these. Despite being diminished in staff numbers, the Heart Failure Nurses have striven to achieve their KPI's when the referral rate escalated. The feedback from patients last month was incredible which shows a great level of commitment to the patients and their families. This team have worked tirelessly to ensure that confidence has been restored in the service and have cleared a huge backlog of patients that were accrued during a change from paper based notes to System 1. They have also coped through adversity in staffing and management changes and maintained a positive attitude whilst all of this happened around them. They offer a fantastic service, often visiting vulnerable and isolated patients, but the rapport and kindness they offer during that visit is second to none. This award would be the recognition they deserve as a team who have pulled together to offer great patient care through difficult times! The Estates Team would like to highlight this wonderful team for their assistance and support in delivering an estates project in time and to budget, regardless of the need to move surgeries, training days and office facilities, which undoubtedly caused them some difficulties. Lisa Dugan is a really well organised manager, and the team at Cowes have been notably friendly, helpful and proactive in getting the works completed in what has been a pretty tight time frame. The team have all been great to work with (though Sarah Hopcroft and Louanne Freeman should get a special mention, as they went above and beyond!). Special mention should be that our external contractors commented that they were the most accommodating team they’ve ever worked with….. I would like to nominate the entire team at Jubilee house. They are a great team who work very hard, to ensure that their patients and families are given the best care they can humanly give. They take pride in their work, and go above and beyond. They have such a passion for getting and making things right and I feel that this should be commended. The whole team also have a great bond which makes them more like one big family. Well done to you all, I'm very proud of the team for your continued hard work and commitment, to jubilee house and to each other, and most importantly to the patients. Solent NHS are very lucky to have you all in our trust. Thank you. The back office team of Solent GP Surgery undertakes all referrals and recalls for our 18,000 patient practice. 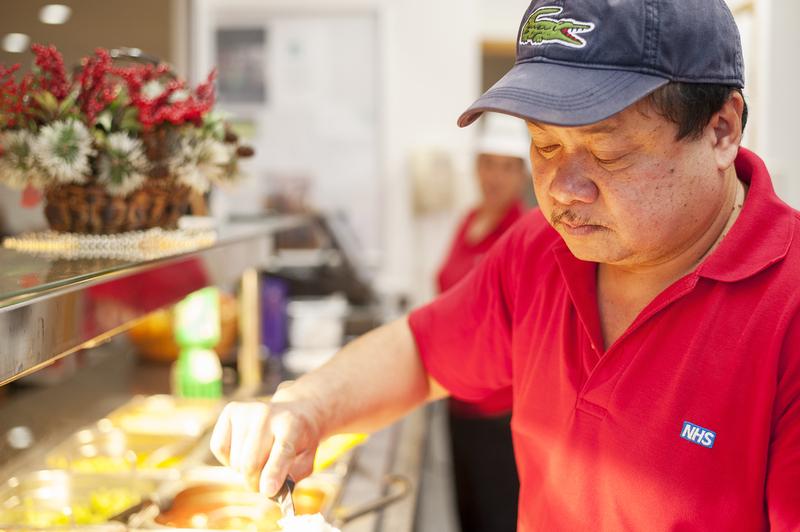 This is a huge amount of work and the team take pride in providing an efficient and effective service. They type up the majority of our referrals within one working day. In addition they manage a tremendous amount of emails from partner agencies and organisations and tasks sent by all members of the team. They follow up and are accountable for all the requests and queries they receive and go above and beyond what is expected of them. In addition they manage our recalls - inviting in patients who need to have a health check and they oversee our safeguarding administration. CQC were really impressed by our processes in these areas. 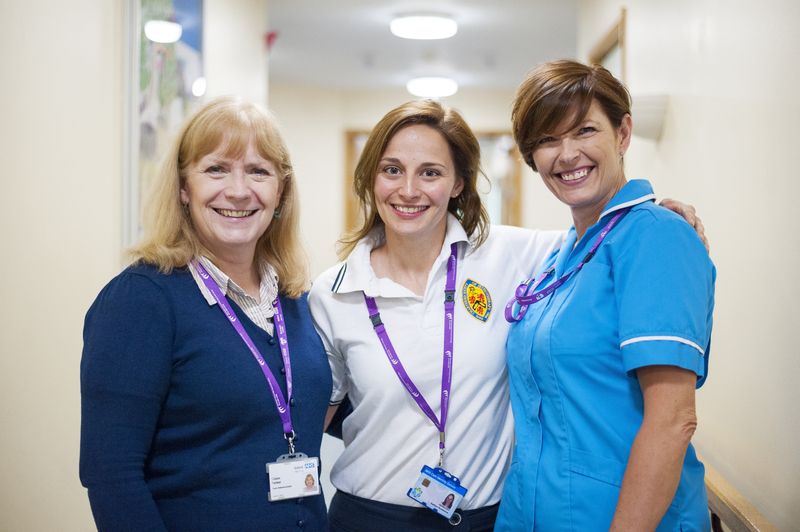 Our clinical team of GPs, Nurses and other health professionals could not manage their work without being supported by our amazing Back Office Team. Please vote for them. Nomination 2: They are a hard working team who are the back bone of our GP surgeries; by supporting the Clinical team in referrals pathways and monitoring, ensuring safety and providing administration services; especially cancer referrals and safeguarding. They demonstrate all the Solent values of honesty, everyone counts, accountability, respect and team work. We couldn't manage without them. Speaking with experience of working in a multi-agency capacity with the LAC Team, I feel assured in preaching their warmth, efficiency and professionalism. All members have regularly gone above and beyond to serve the needs of both internal and external stakeholders, ensuring that the Looked After Children populace of Southampton City are granted effortless and expeditious access to superlative Healthcare. They are a transcendent joy to work with and should be duly recognised for their indispensable contributions. This team have worked exceptionally well together building an excellent work ethic supporting each other in difficult circumstances being open and honest, respectful of each other and other professionals. They worked together to show that everyone counts with a family putting the child at the center and acting as an advocate for that child through a difficult situation maintaining their accountability throughout. To obtain the best outcomes for this individual child by being president and tenacious in their approach as a team. I am nominating my team for the team award due to the immense amount of support the team has given me over the past 6 months. I have struggled on a personal level with challenges I never expected to face. The team have been awesome. The team spirit that we all share is supportive and respectful to each other. The team has had many struggles this year, working through much staff sickness, and changes within community nursing and still manage to support each other to the end. The team continue to be compassionate, and hard working to the most challenging patients with limited staff and are able to support other members of the team whom are not present. The team really deserves this award as have never worked within the 20+ years of the NHS in such an amazing team, They are just simply fab. Michael and his team (mainly Nina, Heather, Steph and Jill) accepted my daughter for a weeks work experience. From the moment she arrived she was greeted warmly and showed kindness and support throughout her placement. They introduced her to the various duties that the Manager and the admin team undertake and enabled her to get involved with supervision and support. This has been such an inspiring placement for her and provides her with a good start to her NHS career as she aspires to become a Midwife. The team clearly embraced all our values and I was so proud to be their colleague as they demonstrated our Trust culture and values. They demonstrated this throughout her time, as they were clearly honest (noting challenges they had at times), demonstrated accountability (discussed IG etc. ), everyone counts-including her in their work, respectful of what she asked and ideas she had and teamwork-she was made to feel part of the team every day. She enjoyed it so much she wants to come back! Thank you all. Amazing team work , they are supporting reception team and clinical staff with their administration jobs. Dialectic Behaviour therapy is an evidence based treatment for Borderline personality disorder. The staff who work in the DBT team all deliver this therapy on top of the normal day job. The team consists of nurses, O/Ts, social workers or psychologists. The staff come from the recovery teams ,EIP and CRHT and A2i and we have new trainees coming from OPMH community. Delivering DBT means you have committed to the training and have two patents on a 1 to 1 basis. Patients can have phone coaching from you at times when you are not at work. Team members attend the weekly consult and they facilitate DBT groups as well. This therapy changes lives it gives hope to a group of patient who without this struggle with daily life family and often end up in the criminal justice system. The team work really hard they have demanding other jobs which they manage to deal with all the competing challenges to make a difference for patients. It’s not easy to deliver and supporting each other is vital. I am very proud of them. Nomination 2: The DBT team run 3 ongoing groups for people who self harm. This requires considerable commitment to deliver and sustain. This is an intensive treatment for people who self harm but at the time of presentation are deemed lower risk than patients in full DBT. I would like the team to be applauded for their on-going dedication and contribution to the prevention of suicide. Nomination 3: The team provide the best evidence practice. They provide this service in addition to their usual roles and daily pressures. 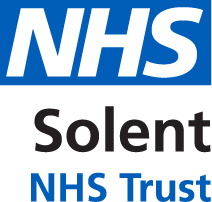 Solent GP Surgery Call Center is a relatively new initiative put into place in order to provide a better service to the patients of Solent GP Surgery. Prior to it's formation all calls to the three sites were answered by reception staff at each site whilst sitting on reception. Therefore reception staff were dealing with patients who had come to the reception desk at the surgery whilst answering calls This inevitably led to patients waiting for their calls to be answered whilst staff were dealing patients at the desk and vice-versa. A call center was set up at the Royal South Hants and all calls to the surgery are now directed to this center. Staff who had previously worked at other sites volunteered to be part of the call center team which involved a change of working location for them. All staff working in the call center have embraced the initiative realizing the value to our patients whilst working in a very fast paced environment and dealing with some very challenging calls. It has been their positivity and hard work that has contributed to the success of the call center and we think they should be recognized for this.